Can dogs drink milk? Is it OK to give my dog some milk every once in a while? Well, if we ask our dogs, most of them will readily gulp down dairy products like there’s no tomorrow, but it’s ultimately up to us to make sure the things we feed our dogs won’t harm them. We think of milk as a natural substance that comes from the udders of a cow, so we therefore may automatically assume that there’s no harm in feeding it to our dogs. After all, wasn’t milk the first thing puppies were given by their moms when they were first born? Well, things become somewhat different as puppies grow and bloom into adulthood. There’s no doubt that mother’s milk is the best form of nutrition when puppies are in the neonatal stage and the initial infant stage. After an average 63-day long gestation, a batch of puppies is finally born. Despite the fact that, as an altricial species, puppies are born blind, deaf and unable to regulate their temperatures, they are drawn to the warmth and smell of mother dog and begin suckling milk with vigor. It’s very important puppies do so in the first 24 hours as that’s when mother dog produces “colostrum,“a special yellow-gold “milk” rich in antibodies that provides the pups with enough passive immunity to survive those early weeks of life when they’re most vulnerable to infectious diseases. After the colostrum is readily absorbed by the the pup’s porous stomach, puppies will then transition to the regular milk mother dog starts producing after the colostrum supply has been depleted. Puppies will therefore exclusively feed on their mother’s milk for their first 3 to 4 weeks of age up until they start being weaned. Around this onset of weaning, puppies start developing sharp teeth and nursing can turn painful for mother dog who will become more and more reluctant to nurse them, and who can blame her? 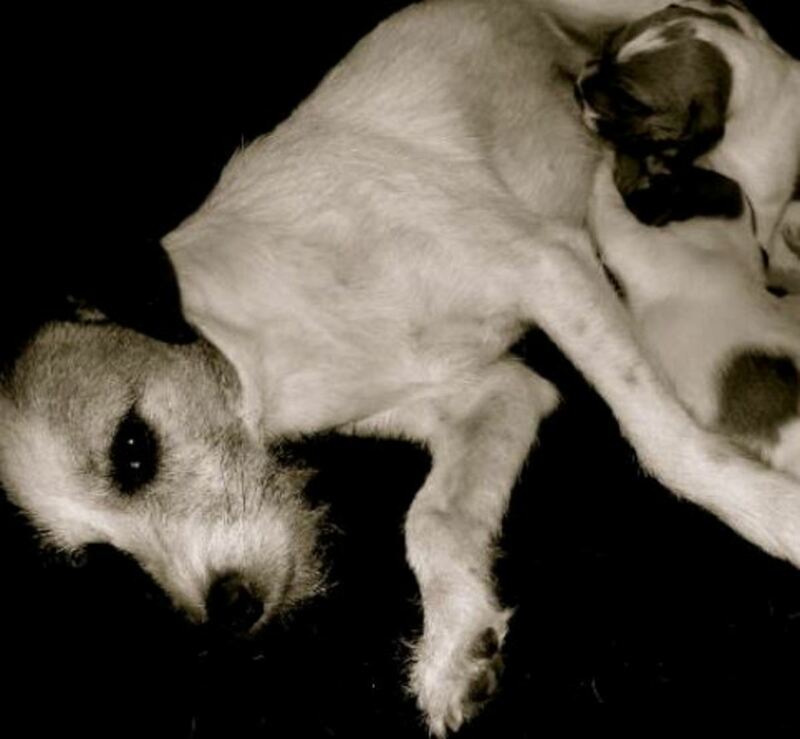 Mother dog’s reluctance to nurse paves the path to weaning, and since this time frame also coincides to when the puppies are mobile and more eager to explore their surroundings, this turns out being an optimal time for the breeder to introduce soft foods so the pups can be completely weaned. Most puppies are weaned by the time they are 6 to 8 weeks old. But Cow Milk is A Different Story. Among many species of mammals, humans are the only on the planet who keep on consuming milk past childhood, remarks Aaron E. Carroll, a professor of pediatrics at Indiana University School of Medicine. Dogs and cats are an exception to this rule because we are the ones providing them milk (usually cow milk), but left in a natural environment, without human intervention, milk would be not be part of these animals’ diet. Indeed, once puppies are weaned, a mother dog’s milk bar will close once and for all. Chapter closed. Once puppies are weaned though, and they are sent to their new homes, milk may make a comeback into their lives when they start living alongside humans, but cow milk is a far cry from the milk mother dog produced. The constituents of mother milk vary from one species to another and milk from cows is very different than mother dog’s milk; indeed, according to Dr. Foster and Smith, cow milk contains about 5 percent lactose while dog milk milk contains a mere 3.7 percent. Cow milk also contains lower percentages of protein and fat which makes it unsuitable as a puppy milk replacer. On top of cow milk being different, one must consider that as puppies grow, they lose their ability to digest milk. Mother dog milk is rich in lactose, and, to properly digest it, the lining of the puppy’s intestinal tract secretes “lactase” a special enzyme meant to break down lactose into two easily digested and absorbed simple sugars, galactose and glucose. Things, change though once the puppies are weaned. As the puppies mature, and are introduced to solid foods, their production of lactase gradually decreases, and therefore lactose won’t be broken down as before, making puppies more prone to developing digestive problems such as flatulence, diarrhea, and stomach pains as early as a few hours after consumption. According to Dr. Cristina Russo, biophysicist and science writer, most mammals gradually loose the ability to digest milk after being weaned, a process that generally starts as early as 16 weeks. Can Dogs Have Milk Then? Can dogs drink milk then or is it something that should be scraped off the list of things dogs can eat? 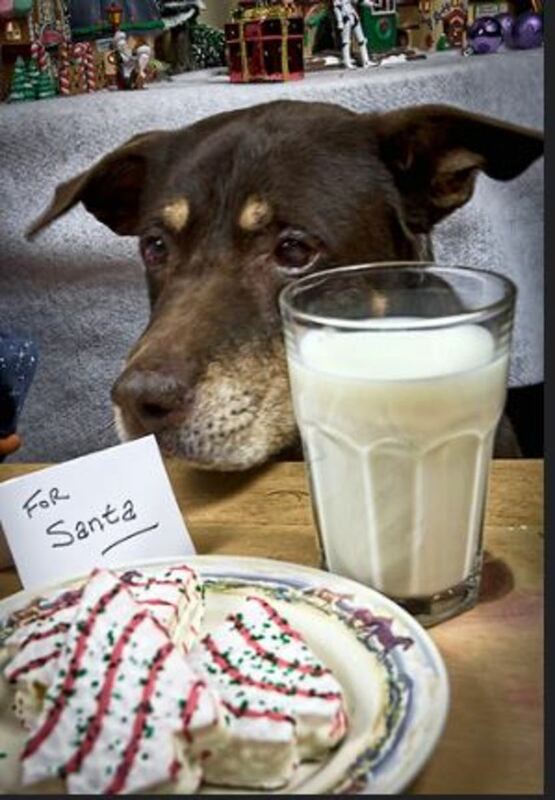 Of course, milk is not a toxin and therefore you won’t find it on the list of products poisonous to dogs, but it can cause enough problems to top the list as one of those thing to avoid giving to puppies and dogs. Other than diarrhea and flatulence, in some dogs, cow’s milk can cause also cramps and nausea. Symptoms of lactose intolerance in dogs can be seen as early as 30 to 120 minutes after ingesting milk or a dairy product that contains lactose, explains board-certified veterinary nutritionist, Dr. Rebecca Remillard. On top of causing digestive issues in dogs who are lactose intolerant, milk can be problematic in dogs with certain medical conditions. 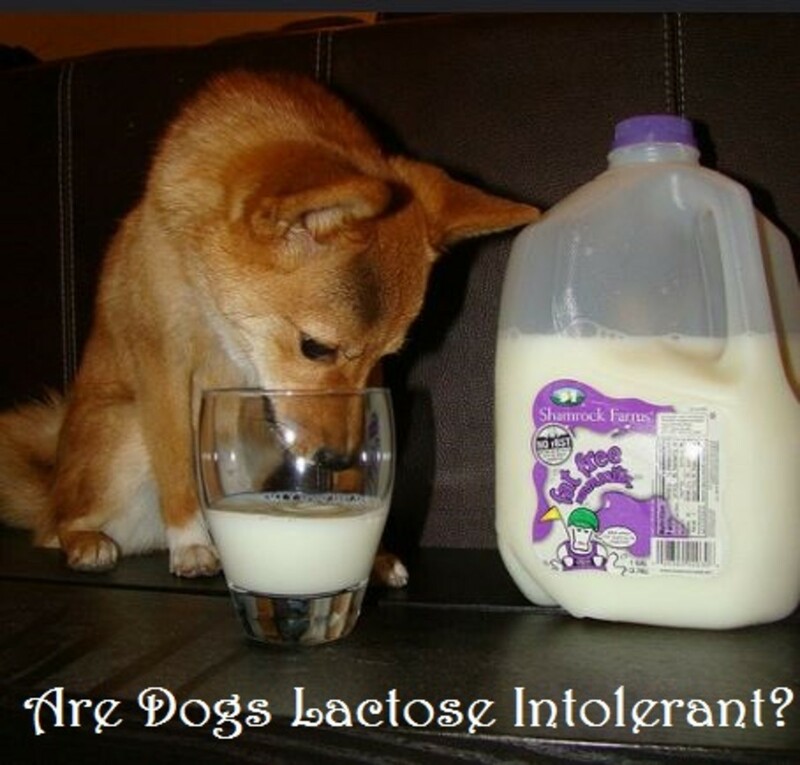 For instance, some dogs may be allergic to dairy. A common cliche’ is dog owners feeding their dogs a bowl of milk or a scoop of ice-cream to their dogs who won’t eat, only to make matters worse as this can trigger a bout of pancreatitis in dogs predisposed to it, explains veterinarian Mike Richards. Also, some medications are not meant to be taken with dairy, so it’s always a good practice to carefully read all leaflets and labels associated with certain medications. “Cow’s milk averages 5% lactose. In some people (and dogs) that have lost the ability to digest milk sugar (loss of the lactase enzyme with age), lactose may cause intestinal upset (gas, cramp, pain, diarrhea and nausea) 30 to 120 minutes after consuming a dairy product containing lactose.” Dr. Remillard, Veterinary Nutritionist. Sure this doesn’t mean that all dogs will develop digestive problems after consuming milk. How a dog reacts to dairy seems to vary on an individual basis, depending on the capability of digesting lactose and the type or quantity of milk ingested. 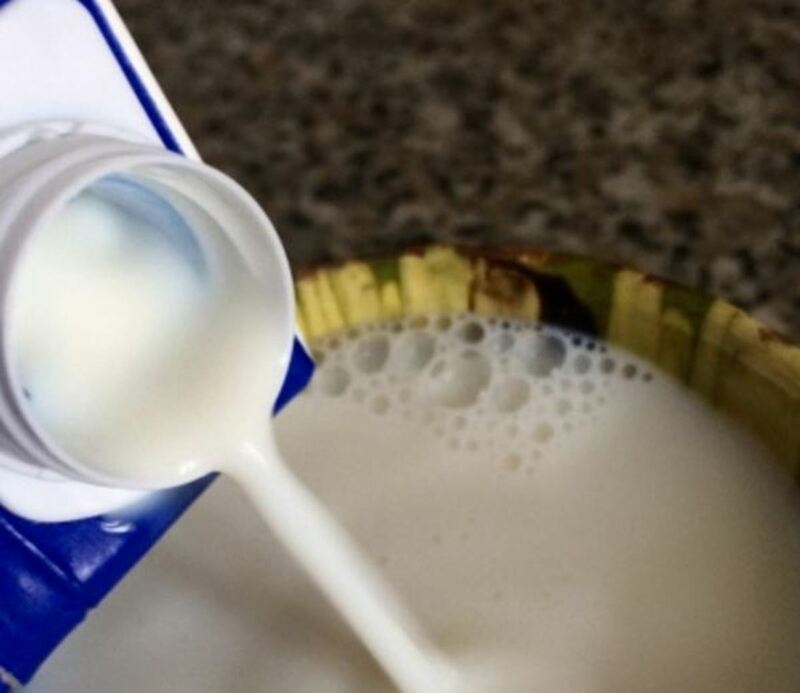 Some dairy products may also be easier to tolerate than others due to lower lactose content. According to Vet Info, cow milk is not an essential nutrient for the dog’s diet, and while it’s true that milk is rich in calcium, dogs can get their calcium from other sources. However, if a dog is not allergic or intolerant to lactose and enjoys milk and dairy products, these can be given as part of the diet, but as always moderation is key. Disclaimer: this article is not meant to be used as a substitute for professional veterinary or nutritional advice. If you have any questions or concerns about your dog consuming milk or dairy products, consult with your vet or veterinary nutritionist.